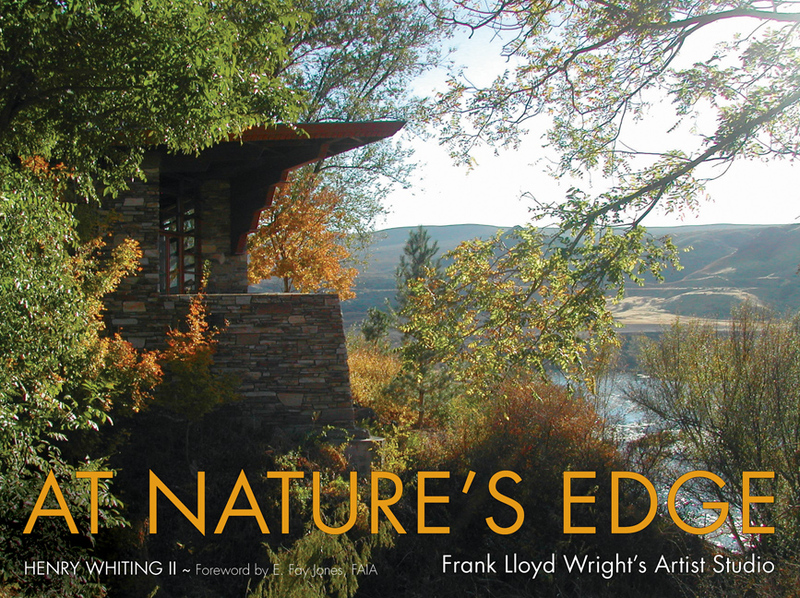 Perched high on a cliff above the Snake River in a remote area of Idaho, Frank Lloyd Wright’s artist studio is a testament to the architect’s total mastery of his craft. The simple, one-room studio Wright designed for Idaho landscape painter Archie Boyd Teater and Patricia Teater in 1952 is a sophisticated, complex work of art. As Wright’s only artist studio (other than his own), the structure was intended to foster the creative life. Located on one of the most spectacular natural sites Wright ever worked with, the studio at Teater’s Knoll is a premier example of organic architecture at its best, where the fundamental integration with nature blurs the meeting of building and nature. At Nature’s Edge chronicles the design and history of the studio and the restorations that were necessary to preserve it after years of neglect. Written for all readers who are inspired by nature and architecture, the book is vividly illustrated with contemporary color photographs, historical black and white images, and Frank Lloyd Wright’s original drawings. Winner of the Idaho Library Association Book Award. Henry Whiting II is an architectural writer. He lives with his wife, sculptor Lynn Fawcett Whiting, at Teater’s Knoll in Bliss, Idaho.